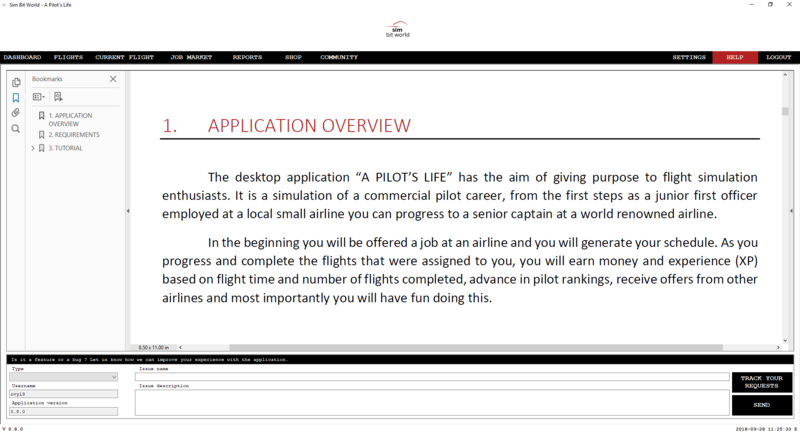 A PILOT'S LIFE application has the aim of giving purpose to flight simulation enthusiasts. 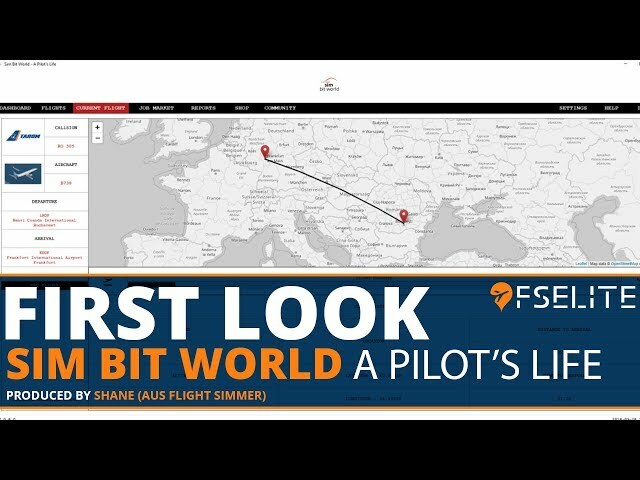 It is a simulation of a commercial pilot career, taking you from the first steps of a junior first officer employed at a local small company, to a senior captain at a world-renowned airline. In the beginning you will be offered a job at an airline and you will generate your schedule. As you progress and complete the flights that were assigned to you, you will earn money and experience (XP) based on flight time and number of flights completed, advance in pilot rankings, receive offers from other airlines and most importantly, you will have fun doing this. The software was developed from the ground up, with some clear ideas in mind: simple, stable, automated, secure (SSAS for short). One of its most important features is the auto-update mechanism, which relieves you from the burden of downloading and installing the application each time we make changes to it (we still have a lot of ideas to implement, so expect plenty of updates in the months to come). 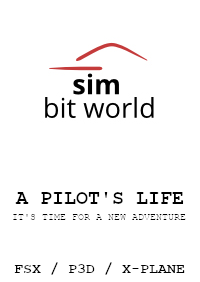 APL from SIMBITWORLD is an excellent program to follow your career as a virtual pilot. You'll find a lot of possibilities with different airlines compagnies and flying real flights in the world. I highly recommend this program because it gives you a great addon with your flight simulator (FSX, P3D and X-Plane compatible). Buy this program and you'll not be disapppointed. The support on DISCORD program is excellent and the developer reacts immediatly if you encounter a problem with the software. This program is constantly in evolution with great future features. Ok. I have to be honest. The product delivers on what it promised. It is a pilot’s life. You are handed your destination by your dispatcher. You have no say in where you go on a day to day basis. Now, l feel this product is definitely a niche product. I feel it fills a void left by people who have left FSX and FSX-SE and have come over to P3D. That void is missions. 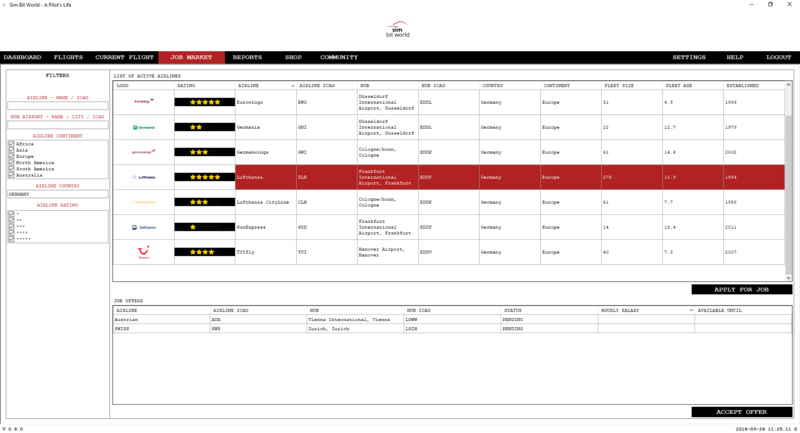 Many 3rd party publishers gave users the opportunity to fly for various airlines and rack up destinations. You also got to see and revel in how many destinations and flight hours you put under your belt. Not so much in P3D. There is a log, but it is uninspiring. This program lets you fly for various airlines and not only tally up flight hours but also move up in rank and pay. I will admit the visuals leave much to be desired but I am hoping they improve that as updates are released. All in all, I am enjoying this product. This is a simple to use program of being a pilot, rather than a business manager. You apply for a job, sometimes you get it, sometimes you don't. The company tells you where to fly, you fly it, you take home a "salary"
As much as I like the concept, I found the software to be very disappointing. It wants to create an immersive airline job experience but I lacks some (for me) crucial parts. For example, it doesn't simulate passenger-numbers or cargo, fuel, weights etc. or other "airline related" things. All it does right now is to create a list of destinations you have to fly and tracks that. There are freeware online services that do exactly that already, partly way better and with more data, graphs, records, options. But I hope the devs will continue & expand the features to make this tool more than just a destination-generator. Passengers, loading, routing, fuel, etc... all of this is unfortunatley missing. In my optinion, that's insufficient for a 20,- Euro add on. This early in development application has more potential at a first glance then I I have had through 14 years of education. Think it's a great addition to the sim and I enjoy exploring new airlines I have never ever heard of before. I can also recommend this app with a VA cause it can make a schedule if you are struggling to figure out where to fly. This is a great add-on for P3D. If you want to simulate a career without having to join a VA, this is for you. I would give this a 5 star, but there are a few minor things holding it back from that. Potentially, this could be a #1 add-on to P3D. 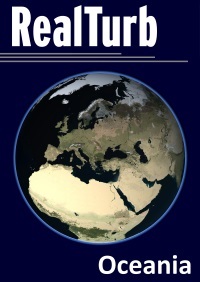 The author appears to be open to suggestions and it looks like it is continuously being updated. You start out unemployed, and are offered several jobs with various airlines. Once you accept a job, you are given a schedule to fly. 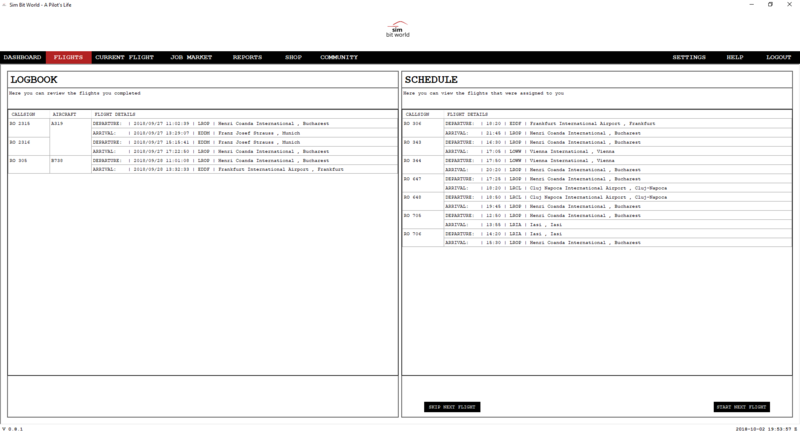 You can re-generate a schedule if you wish. 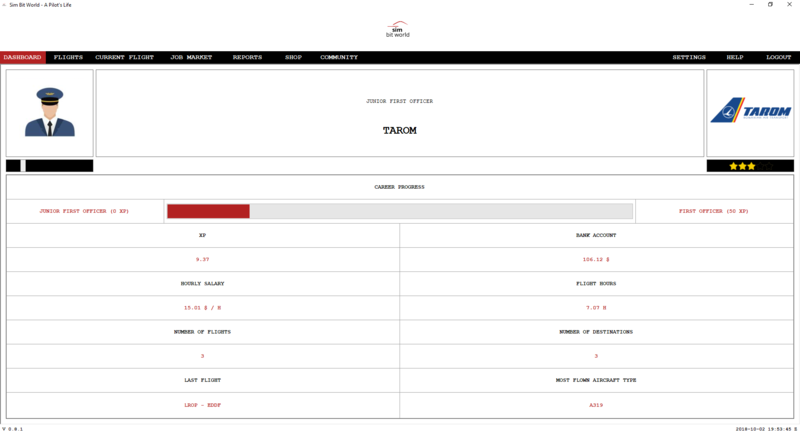 You go into a setup screen to check what planes you have in your simulator. I believe these planes show up when you select an airline and start flying. I'm not sure, but I think you can simply ignore that and fly whatever plane you want to. I could be wrong and I didn't test it, but I was able to load up a Mooney Bravo and start a flight. It did not complain. The only reason I bring this up is because I'm not sure what restrictions are in place for different aircraft. Once you've chosen your flight, you go into your simulator and just fly it. You can alt-tab out if you want, but the program automatically sees that you are flying and begins tracking (I think you can turn this feature off). The live moving map appears to re-draw very slowly.. not sure why, but this does not affect the simulator. There is no FPS hit whatsoever. 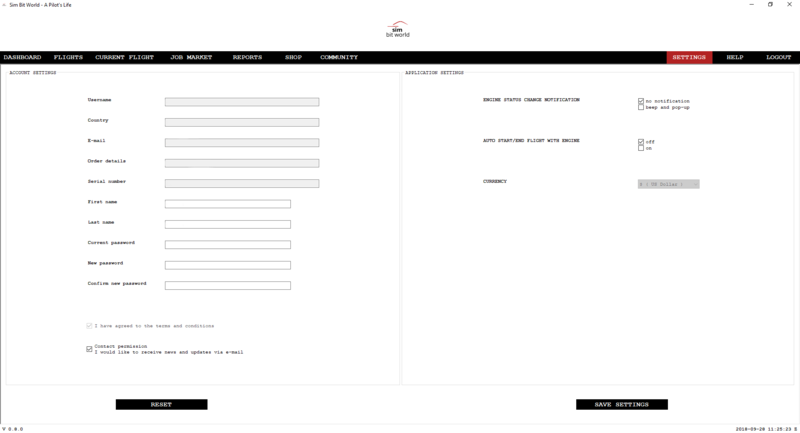 I think the database is stored at their website, because moving from tab to tab sometimes takes a few seconds, as the form is filled in with information. My guess is this is a live database somewhere remote. Not sure what this means if the network goes down. After the flight you simply have a log and you can fly your next flight. You can also apply for different jobs available, or even try to apply at any airline. Beware they may not want you unless you've gained experience. 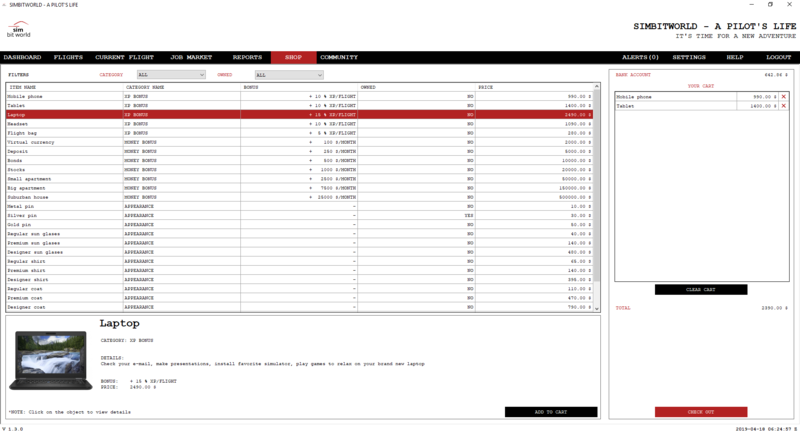 The interface is very well done, clean, and the information is laid out in a very organized manner. The author did a good job of not cluttering up the interface. If you've been looking for a "career" type of add-on that does not require you to join a Virtual Airline (you don't have to meet # flights criteria, or VATSIM, etc..), this is the one you want. The user manual is a little weak but should get you going. Initial setup was a bit confusing but the tech support was excellent, and I was up and running in no time. If you're running Windows 7, make sure you don't install into the Program Files (X86) folder (use a root folder), and you may need to exempt the installation folder from your anti-virus. Also, run as administrator. These things were causing issues for me before I changed them. I'm not sure if this applies in Windows 10. Overall, I am close to giving this a 5 star. I want to see where the author takes it in the future. I bought this software as a recommendation from some friends. We have come from using air hauler and it is actually really nice to see the other side of a company. Rather than being an airline owner, you are a pilot working for an airline. This product has really enticed me to fly regularly as the generated schedules make you fly to places you might never go and this in itself has helped as i have always been struggling on where to fly. The auto start and finish of a flight is a little bit buggy but nothing a hot fix can't fix which this app is always being updated and it is built into the software so you don't have top keep re downloading updates. Overall a really good product and i would recommend to anyone. Only 4 star because of the current bugs as this is a relatively new product. The app delivers on job acceptance, schedules and flight tracking. It encourages me to fly more and with different airlines. Indeed, there are some features that are missing at the moment but hopefully they will be implemented soon. The community page and shop sound interesting. Can’t wait to see what those bring to the table. This is the type of application I like. It can add more gameplay and a stronger sense of substitution. But I must say that the completion of the application is not enough. It can be seen that it will provide some new features one after another, hoping to complete it soon. In addition, the application and the simulator are also relatively simple, and the user-customizable functions are basically not available. You know, a career is more than just a job and a talent market. Also, there was a decision that made me unacceptable. When I landed at the destination airport, it showed 1 nautical mile from the destination. So when I clicked "End Flight", the program did not admit that the flight arrived successfully. This type of application is not much on the market, so it is especially hoped that it will become a boutique. Great customer service! Lots of potential for this! I would give it a five, but I have to be realistic. The software is brand new, and has a lot of potential, but this is just the start. I have so far had a pretty good experience with picking my first airline, doing a flight, etc. The best thing about this software so far though is the creator. He is very helpful, and has set up an in-app bug/ feature submission system which is looked at often. I recommend anyone to give this software a chance. It is a bit rough around its edges, but Rome wasn't built in a day. Ok. I have to be honest. The product delivers on what it promised. It is a pilot’s life. 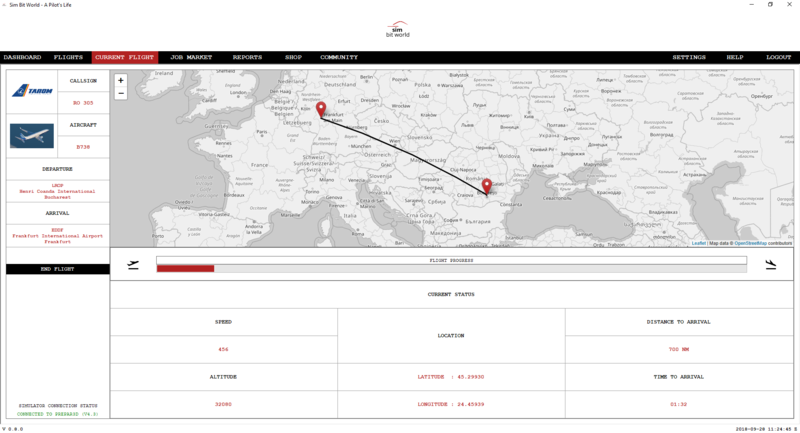 You are handed your destination by your dispatcher. You have no say in where you go on a day to day basis. Now, l feel this product is definitely a niche product. I feel it fills a void left by people who have left FSX and FSX-SE and have come over to P3D. That void is missions. 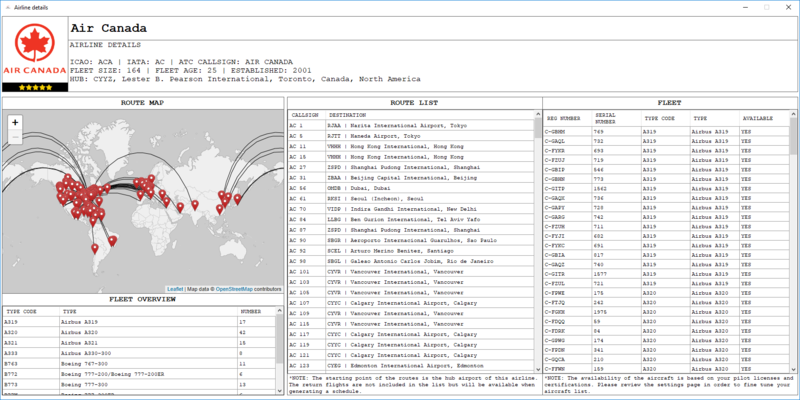 Many 3rd party publishers gave users the opportunity to fly for various airlines and rack up destinations. You also got to see and revel in how many destinations and flight hours you put under your belt. Not so much in P3D. There is a log, but it is uninspiring. This program lets you fly for various airlines and not only tally up flight hours but also move up in rank and pay. I will admit the visuals leave much to be desired but I am hoping they improve that as updates are released. All in all, I am enjoying this product. erator. Passengers, loading, routing, fuel, etc... all of this is unfortunatley missing. In my optinion, that's insufficient for a 20,- Euro add on. I bought this software as a recommendation from some friends. We have come from using air hauler and it is actually really nice to see the other side of a company. Rather than being an airline owner, you are a pilot working for an airline. This product has really enticed me to fly regularly as the generated schedules make you fly to places you might never go and this in itself has helped as i have always been struggling on where to fly. The auto start and finish of a flight is a little bit buggy but nothing a hot fix can't fix which this app is always being updated and it is built into the software so you don't have top keep re downloading updates.  Overall a really good product and i would recommend to anyone. Only 4 star because of the current bugs as this is a relatively new product. ed, there are some features that are missing at the moment but hopefully they will be implemented soon. The community page and shop sound interesting. Can’t wait to see what those bring to the table.